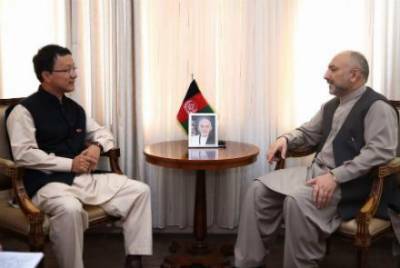 KABUL -The Afghanistan CEO’s office said they warmly welcome efforts by China to initiate and help facilitate peace talks. A high level delegation from China is expected to visit Afghanistan in the near future where it will announce Beijing’s full support to the Afghan-led and Afghan-owned peace process, the office of Mohammad Hanif Atmar, national security advisor to the president said Thursday, TOLO News has reported. Meanwhile, Army Gen. Joseph Votel, the commander of US Central Command has said that the US will continue putting military, social and political pressure on the Taliban to press the group to come to the negotiating table. “Asian countries including China are continuing their efforts for peace talks in Afghanistan and we warmly welcome their efforts and hope that these efforts finaly bring the Taliban to the negotiation table,” said deputy spokesman to CEO Abdullah Abdullah Omaid Maisam. Forces in Afghanistan are applying military pressure on the Taliban to convince them to enter talks toward reconciliation with the Afghan government, Votel noted.